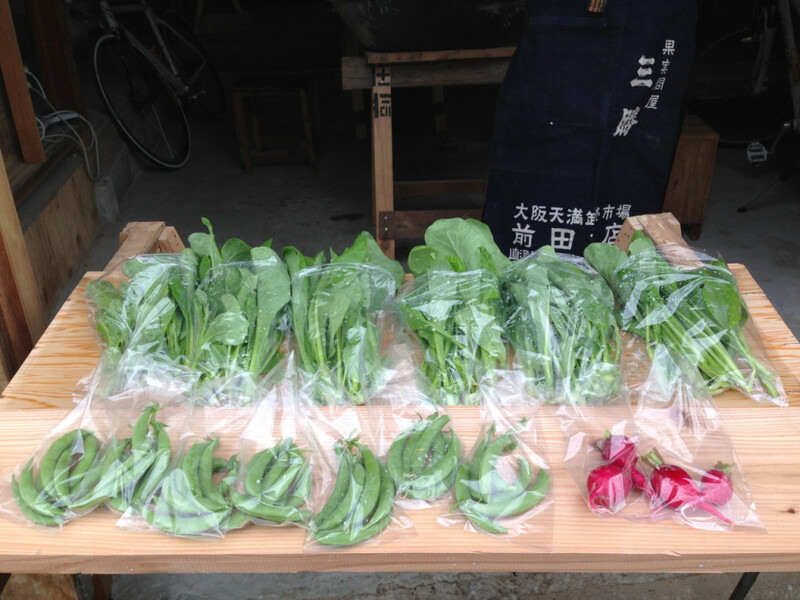 Second harvest was Komatsuna and snap peas. The last time spinach was only for our own but this time we wanted our neighbors to taste them too, so we made a little stand at entrance of Maedabunka. 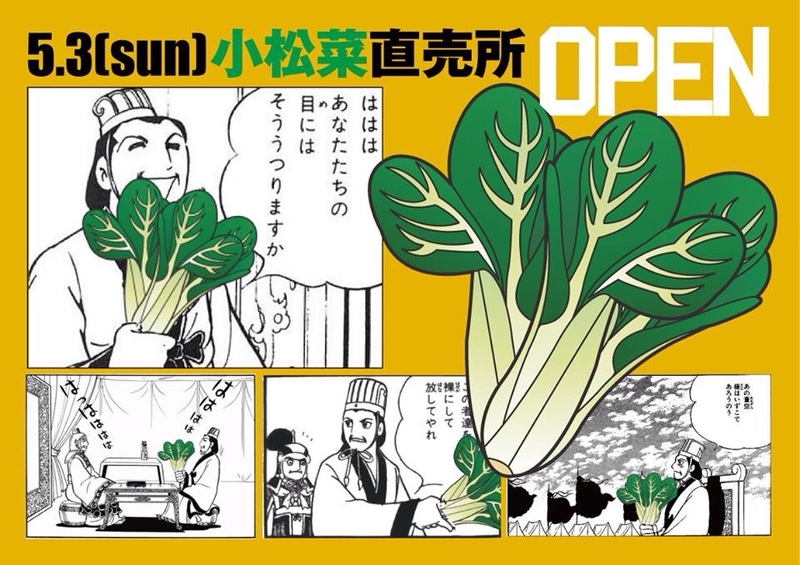 We barter vegetables with passersby.